this time, I am actually on time with this. 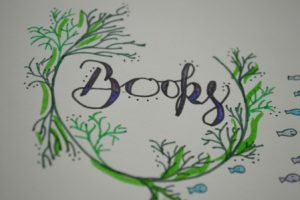 Thanks to a ligament rupture on my foot, I had a lot of time for my bullet journal, as well as reading. I’m really happy with how the spreads turned out. And I’m also really happy to see how I improve every month, it looks way better than when I started out last October. 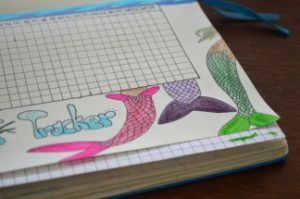 The title page shows it already: the May theme is Under the Sea, though I focused on mermaids and fish. On the left is a photo of a statue of a mermaid which I took in Venice. It was just too fitting, I had to use it. Obviously. Then follows a calendar. 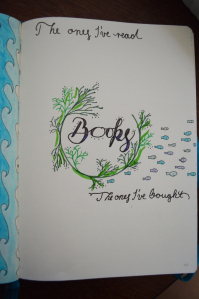 I usually do one on the title page OR an extra one, but for May I decided to do both. One for a fast look, one when I need to know anything, like birthdays or holidays. Here come the trackers. 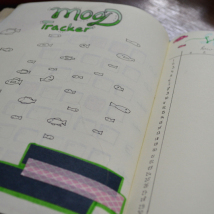 The first one is my mood tracker, a fish for each day. I only work with four colours this month instead of six. Apparently I don’t have such a wide variety of feelings. I’m probably a Ron Weasley here. 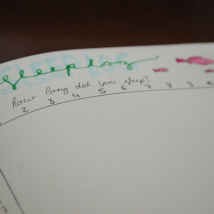 Then, there’s my sleep log. Yes, I’m back at it, but I won’t only mark how many hours I’ve slept, but also if I slept wel.. Blue is for good sleep, purple for bad sleep. The third is my habit tracker, where I track all things social media, books & merch and just living and hobbies. I did not add sports because of aforementioned foot. 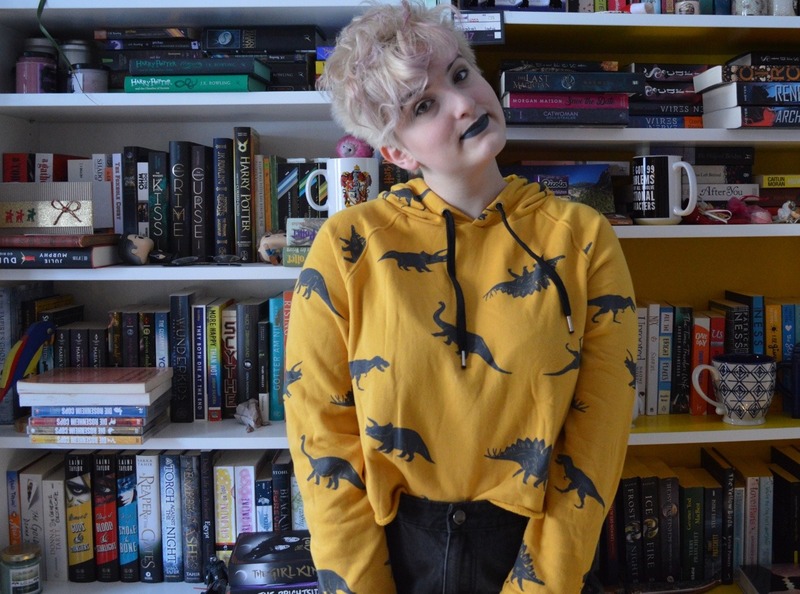 And while I’m at it… I haven’t bought any merch in april. Not one thing, I am so proud of myself. 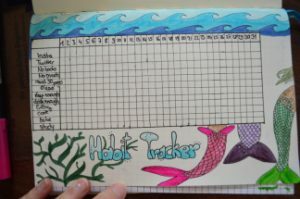 And yes, I put this on the habit tracker because buying books and merch has become somewhat of a habit, though it is one I want to get rid off. What? I’ll never stop buying books but I want to buy less. Goal. And while we’re talking about books, let’s stay there for a while. Because the books page is next. Here I keep track of the books I read and the ones I’ve bought. April was the first month in ages where I read more books than I bought. Yeah, go me. 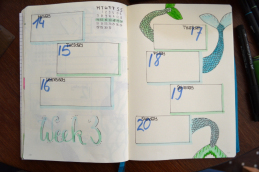 Of course I also need my weekly spreads. I tried to stay with blues and greens and I think it turned out pretty good. Week 3 is probably my favourite May page. 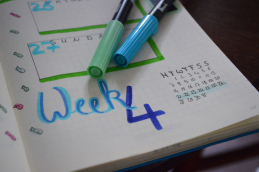 Here I’ll write down to-dos and what special things I’ve done this month. The last two pages so far are for things I find and like in May, the other is for good memories I make. Let’s see what May has in store for me, eh? And that’s it, my May set up.